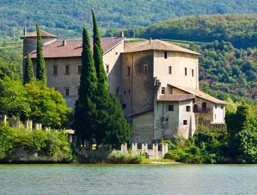 Castel Toblino. Discover Lake Garda! Following the road from Trento over the pass of Vezzano, through the Valley of the Lakes or Valle dei Laghi, you will reach Lake Toblino. 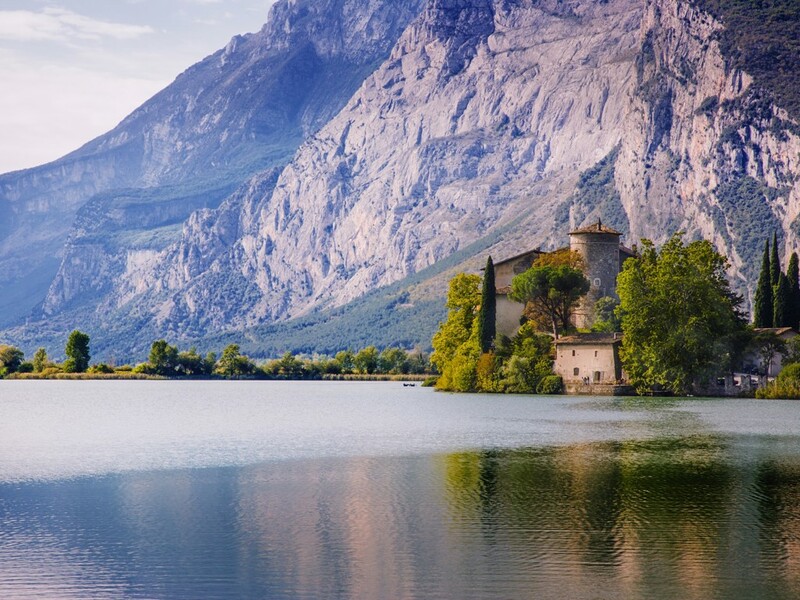 Considered one of the most romantic lakes in Trentino and the Lake Garda region, it stands between tall cliffs on a peninsula, probably once an island, surrounded with windy reeds and evergreen holm oaks. An inscription from the 3rd century proves that they built the castle in the 12th century, on the remains of a temple dedicated to fairies. In the 16th century, the Madruzzo family rebuilt the medieval complex into a residence. It served for some time as a summer residence for the prince-bishops of Trento and then fell to the possession of the Wolkenstein family in the 17th century. The castle is now open to the public as a restaurant. Some of the rooms are available for exhibitions. Through the gateway, visitors reach the courtyard of the castle with its arcades, loggias and painted wooden balustrades. 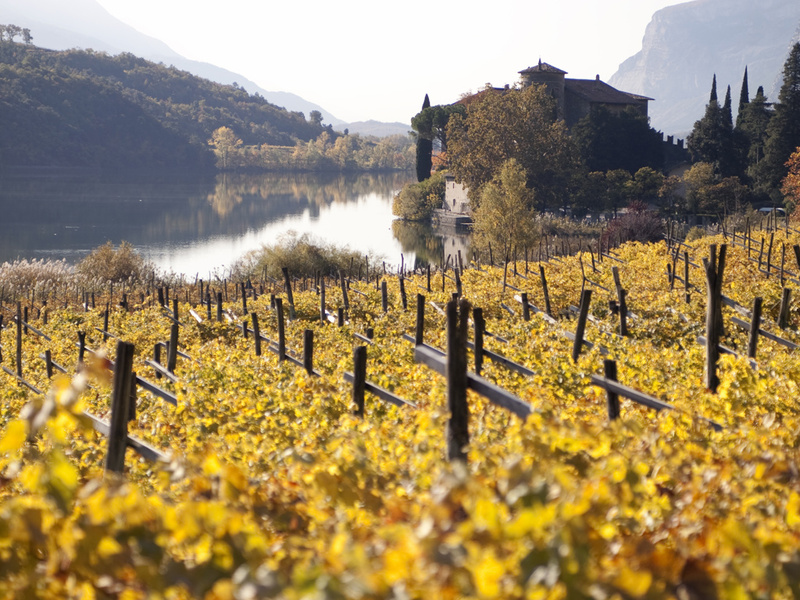 In the midst of this historic façade, an atmospheric Renaissance-style restaurant invites you to taste the delicious dishes of the Lake Garda area and the locally grown dessert wine "Vino Santo".